The ideal maintenance product for all types of wood. 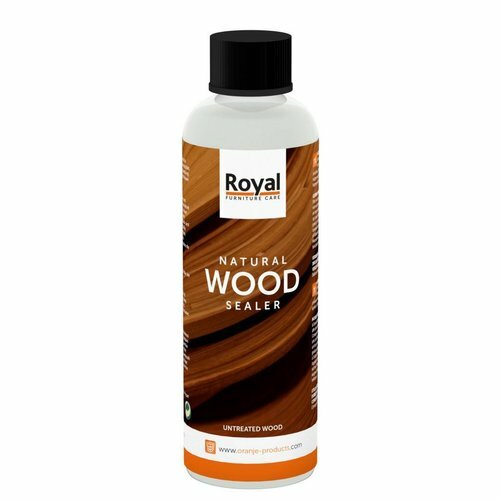 The water-based colorless impregnating oil for all untreated or stained wood species. The natural wood color is virtually preserved after treatment. Offers optimal protection against water, oil and grease. Shake bottle well before use and test the product for color fastness and resistance in an inconspicuous place. Only compare after drying. Never work on wet surfaces. Sand well beforehand and make dust and grease free. Apply the oil undiluted and evenly using a brush or paint roller. Apply a second coat after drying. Multiple layers of Natural Wood Sealer increase the level of protection as well as the degree of gloss. Keep out of reach of children.